This post is sponsored by Philips, thoughts and spilled breakfast is all my own. 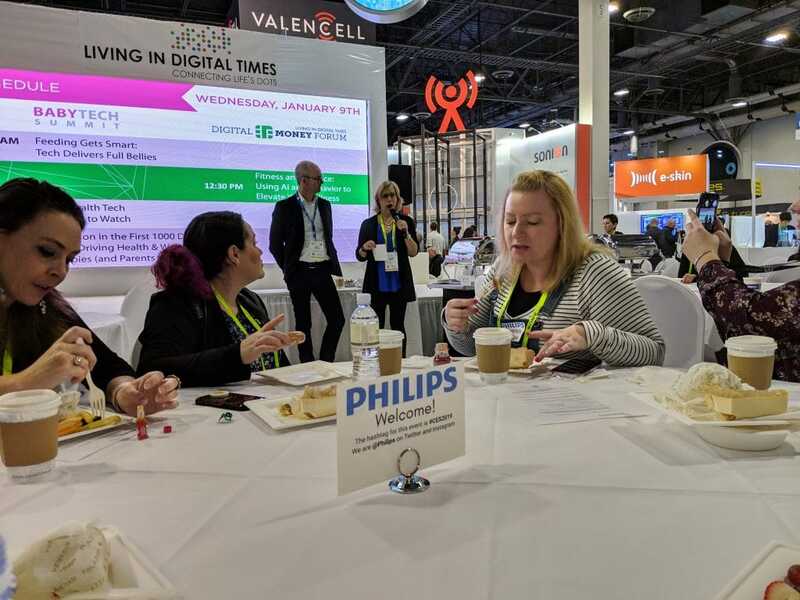 While I was at CES this month I was invited to a breakfast with Philips representatives to check out the ways they are focused on consumer health this year, and I was impressed. The first two products I learned about were the SmartSleep: Deep Sleep Headband and the SmartSleep: Snoring Relief Band. 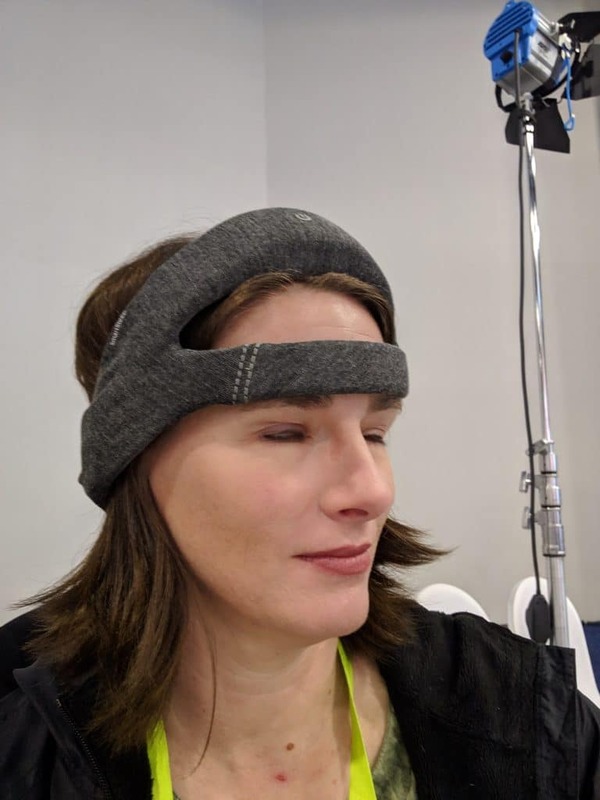 While I had already learned a bit about the Deep Sleep Headband last year, I got to try it this year. The headband itself is extremely comfortable. I definitely wouldn’t have any issues falling asleep with it on. 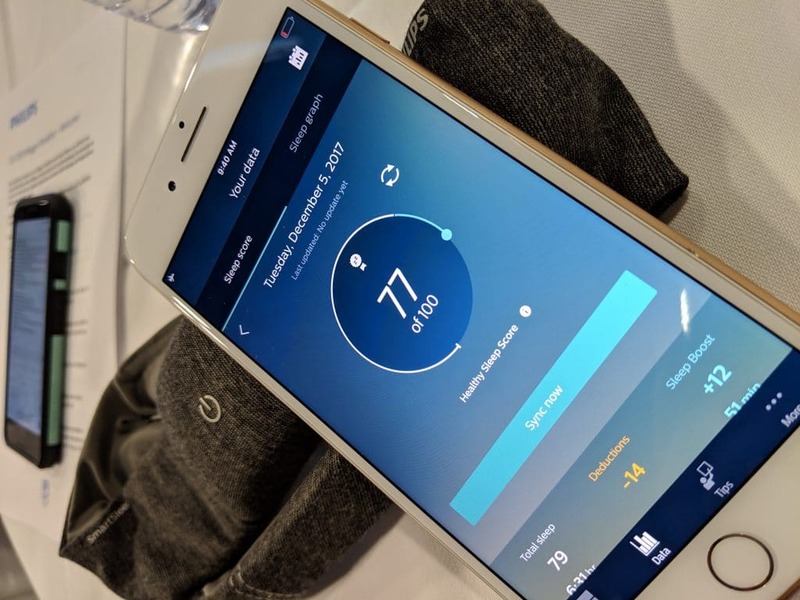 The band will monitor when you get into specific cycles of sleep and start to play a very soft tone that will match up with your sleep patterns to help keep you sleeping. As the wife of someone who sometimes has to work the night shift and tries to get enough sleep during the day, this headband could be a game changer. The accompanying app will help show you how it is improving your sleep over time. Clinical trials have proven that it can help improve sleep for those who have normal sleep issues, not chronic sleep disorders. 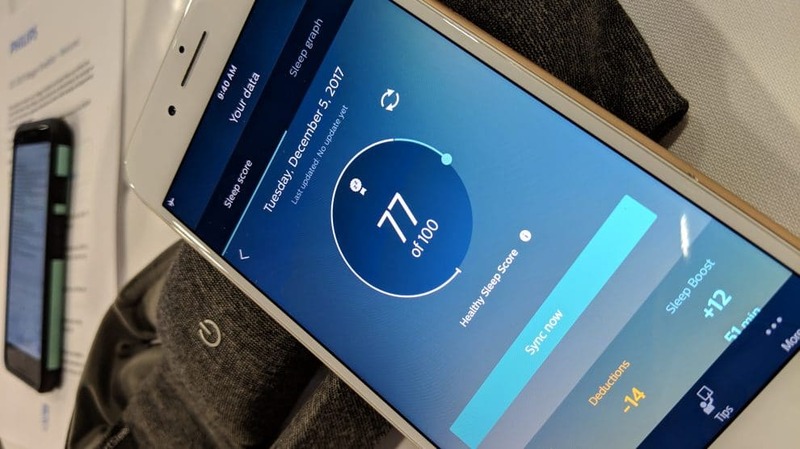 The second SmartSleep tool helps with snoring, another perfect one for my husband to wear! The snoring relief band is worn around your chest and simply monitors when you have moved onto your back. It gently vibrates to remind you to move over to your side in a way that shouldn’t wake you all the way up. It’s a lot easier than me trying to push him over, trust me. Many snoring relief tools will rely on ambient noise to trigger their functions, but the Philips SmartSleep Snoring Relief Band relies on sleep position, so it can be a lot more effective and won’t trigger from outside noise. Of course, what proper breakfast with Philips would be complete without a conversation about the Sonicare. I have been a Sonicare Toothbrush user for at least 15 years. The first time I tried it, I was hooked. I have strayed from time to time with other electric toothbrushes, but I just keep coming back to the Sonicare. It’s just such a great toothbrush, and it keeps getting better. 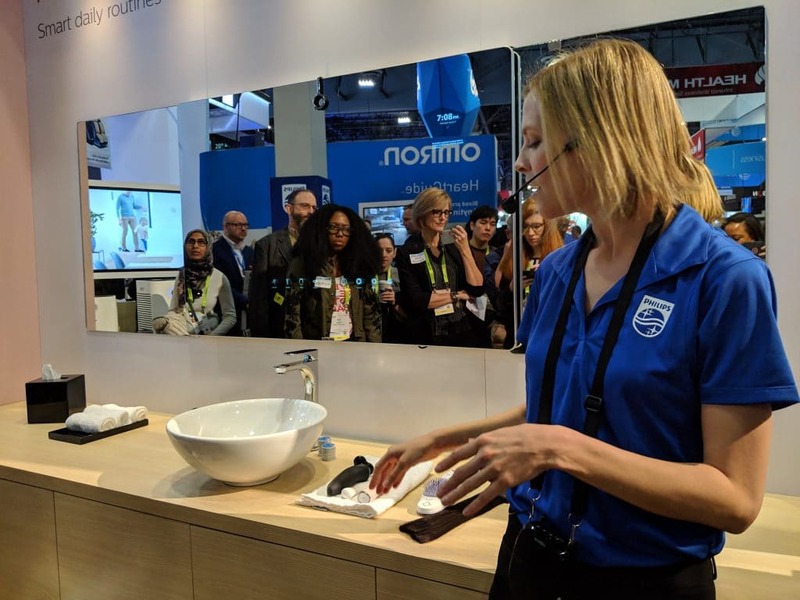 The latest version of the Philips Sonicare is the DiamondClean Smart 9700 Series, which has some amazing smart features to help you get the best oral care possible. What they really wanted to talk about, though, is their new Teledentistry solution. 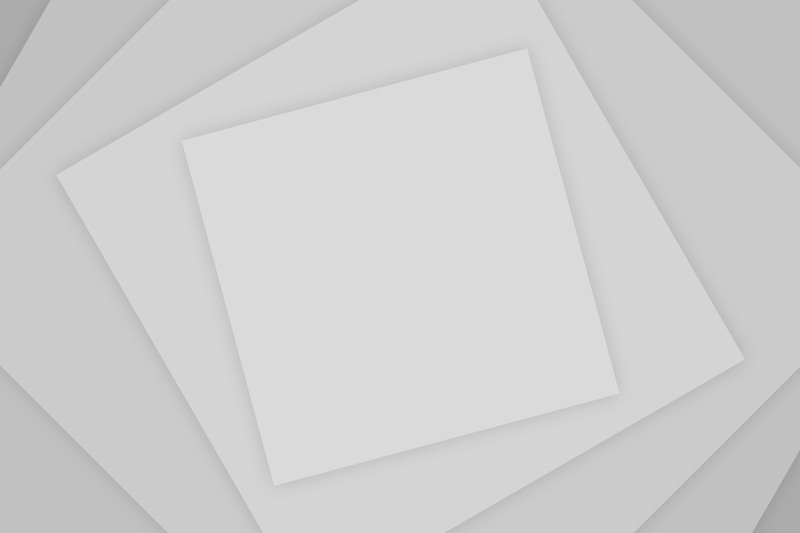 Through the Sonicare app you can get your questions answered from real dentists. You can even send data of your brushing habits and images of your mouth and teeth. They will get back to you with a full report of treatment options and plans to help get you back on track. After the breakfast we walked around the Philips booth for a bit. I LOVE watching concept displays, and Philips did not disappoint with their smart mirror concept. 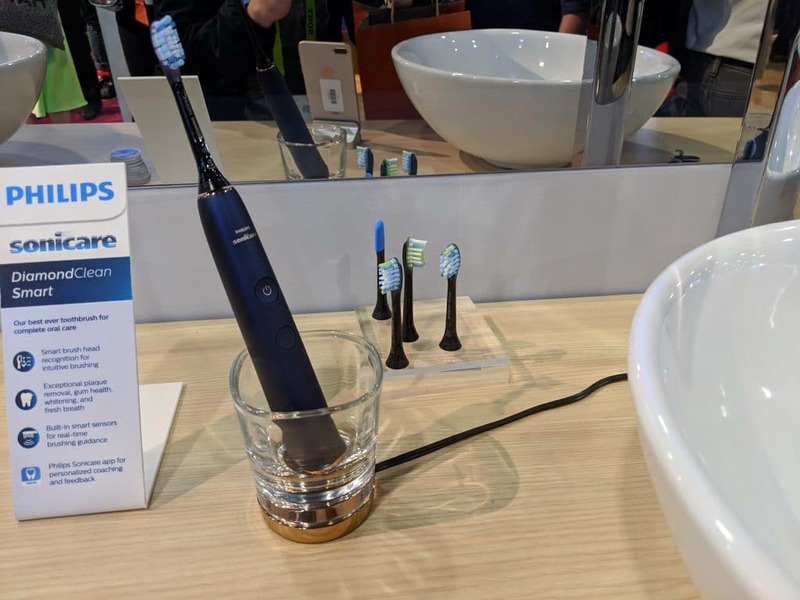 Each tool in their arsenal (toothbrush, razor, a concept hairbrush and more) work together with the smart mirror to give you a complete morning routine that can start you off on the right foot. As always, I had a great morning with Philips, even though I ended up opening a small package too hard and wound up with cereal all over myself, my chair, the pristine white carpet, and more. I guess you really just can’t take me anywhere. I would love to be invited again… I’ll try not to make a mess next time.